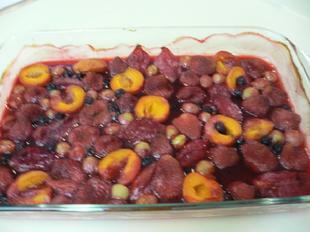 Cut apricots in half, discard pit. Cut nectarines in quarters, discard pit. 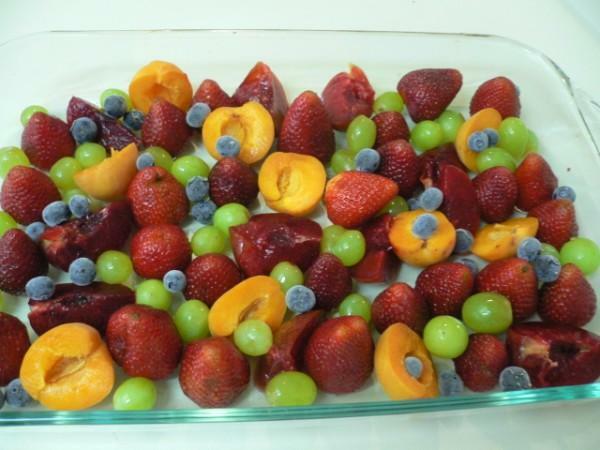 Place all fruit into a large baking dish. If you read the new Mayo Clinic Diet book you will notice that they recommend eating all of the fruit and vegetables that you care to eat every day. I could not agree more. While some may point to the slightly high calorie count in some fruits, especially dried, these items are a far better choice than salty processed snacks. This fruit compote recipe is one big mouthful of summer in every spoon. 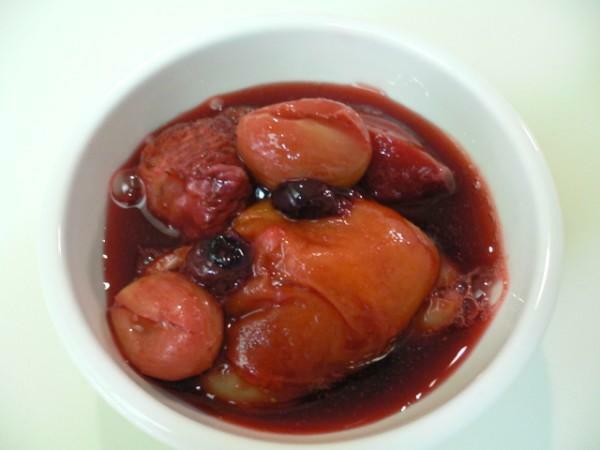 You can keep an eye out for discounted over-ripe fruit at the grocery store because it is fine for making fruit compote.